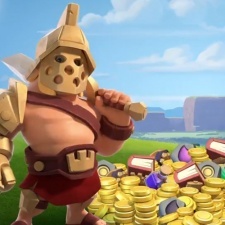 Supercell’s Clash of Clans generated $27 million in one week following the introduction of a new Gold Pass in the game. The Finnish developer recently added season challenges through which players can get rewards for completing daily and weekly challenges. By paying $4.99 for a Gold Pass, users stand to get better rewards from these tasks such as exclusive hero skins. According to Sensor Tower, in the week after it went live, revenue for the game week-on-week was estimated to have increased by 145 per cent as players spent an average of $3.9 million a day. The game was said to have made $11 million in the week before its introduction. Such was the early success of the new Pass that at launch Clash of Clans shot to the top of the US App Store overall top grossing rankings for the first time since October 13th 2017.